The City of Seinäjoki has been doing a long term work to prevent childhood obesity and overweight. The Ministry of Social Affairs and Health funded the City of Seinäjoki to model the obesity prevention programme of children and implement the model in the Finnish municipalities. Six pilot municipalities in different parts of Finland participate in the project. The Seinäjoki Model is also a good example of responsible health and wellbeing management and political decision making in the city (Health in All Policies Approach). Finnish National Institute for Health and Welfare (THL) is doing research on children’s weight development in Finland. Results achieved in Seinäjoki will be compared with the national development. Now this health promotion innovation Seinäjoki Model of Ending Childhood Obesity will be published in the Conference on 12th March. 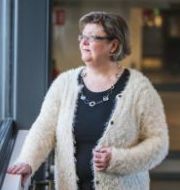 Ulla Frantti-Malinen is a Coordinator of Health and Welfare Promotion of the City of Seinäjoki since 2015. She is leading the Health and Welfare Promotion Unit and the Overcoming Obesity Programme of the City of Seinäjoki.